In recent years, mass shootings across the county have dominated the headlines – from the San Bernardino, California shooting in 2015, to the Orlando, Florida Pulse Nightclub shooting in 2016, to the Las Vegas Route 91 shooting in 2017 – and shooting after tragic shooting in schools, community centers and places of worship as recently as the end of 2018. Since these events began increasing in frequency, Americans have sought out various ways to combat the insecurity and turmoil. Some solutions are more productive than others, but one of the most proactive responses that has gained traction is the movement to promote active shooter training. Where does a community institution find an active shooter training program? There are various Active Shooter/Hostile Event Response (ASHER) programs available to the public, but the one we recommend is NFPA 3000 ™. This is the training solution introduced by the National Fire Protection Association (NFPA ®) in 2018. NFPA 3000 is a provisional standard in active shooter training that was developed by a consortium of experts; first responders, emergency management, higher education administrators and facility managers all worked alongside the NFPA to develop the program. Additionally, more than a dozen public agencies were involved: the U.S. Department of Justice, Federal Bureau of Investigation, Department of Homeland Security, International Association of Chiefs of Police, and International Association of Fire Chiefs among them. 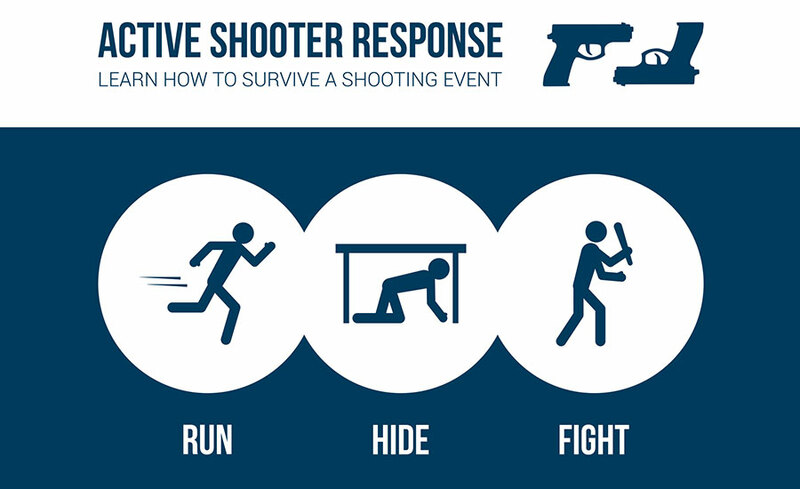 The program’s purpose is to establish a set of standards related to the preparedness, response and recovery in a hostile event, including an active shooter scenario. The NFPA 3000 training series is available with an online subscription, making it easy to access from anywhere. Households, school districts, public agencies and private businesses can choose the training level that is the best fit for the organization. This is one thing that sets NFPA 3000 apart from other active shooter training programs.